Not that I need another project/hobby/obsession in my life, but two weeks ago (on January 1, to be exact) I decided to start a 365 project in which I take one photo every day of 2013. I know, it sounds a bit insane, but it has already been really fun and creatively challenging - and I'm only 13 days in. And because it's Sunday night and I'm settled comfortably on the couch with so much TV to watch (Girls! Downton! Golden Globes!) 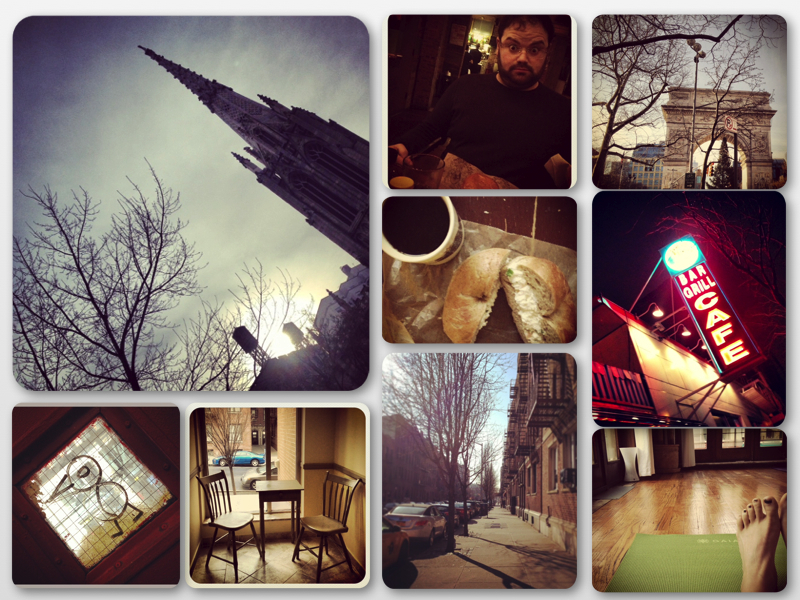 I share with you a compilation of my favorite pics from the past two weeks. If you're an Instagrammer, follow me (@maspad) and my daily pictures with the hastag #365 - and enjoy! All photos taken with my iPhone 4s and processed with various Instagram filters; locations are in downtown New York (somewhere between 4th and 14th streets) and in Astoria.